"I wish my laundry room were that pretty." I know; I do too. Gotta love all this bright color, no? The walls, the towels - the clean washer and dryer - and yes, the fabulous laundry wall quote. Thanks for sending in your photo, Jackie. 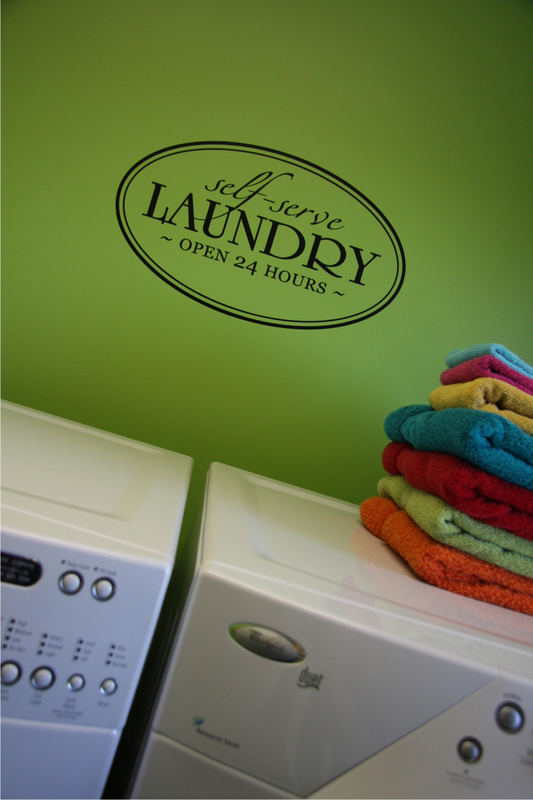 If my laundry room were this appealing I might get more done (sigh).